LOS ANGELES, September 28, 2018 – RapportBoost.AI, a Los Angeles-based technology company that provides augmented intelligence solutions to brands that utilize conversational selling and conversational marketing to engage potential customers online, recently completed its first internship program. The RapportBoost internship program was designed to provide hands-on technology and entrepreneurial experiences in the emerging fields of data science and artificial intelligence to the nation’s top high school and college students pursuing careers in the tech industry. Tech companies require a highly trained, entrepreneurial and adaptable workforce that can integrate with a diverse and fast-moving team and make a valuable and sustained strategic impact. 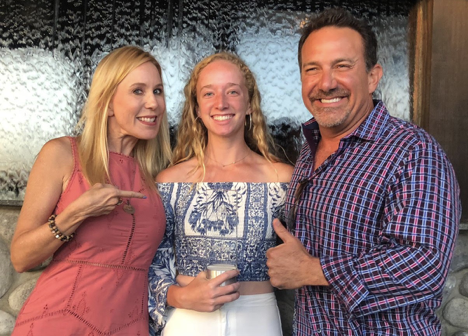 Our first intern, Avery Keare, was selected not only because she had near-perfect grades and test scores, but also because she was a great communicator and team player who demonstrated her abilities by leading a product launch and supporting the sales, marketing and technology teams during rapid company growth. RapportBoost.AI contributes to the technology community in Los Angeles by helping develop the next generation of tech leaders who can use data, science and technology to deliver augmented intelligence solutions that improve human contact center agent performance. RapportBoost.AI is the leading conversational sales analysis platform for brands that use chat, SMS and messenger tools to engage customers. RapportBoost.AI uses artificial intelligence to optimize chat conversations in order to drive dramatic and sustained improvements in conversion rate, order size, customer satisfaction, renewal rate, average handle time, first contact resolution rate, agent retention and happiness and other critical contact center metrics. Learn more about how to supercharge chat conversations for your brand from the team at RapportBoost.